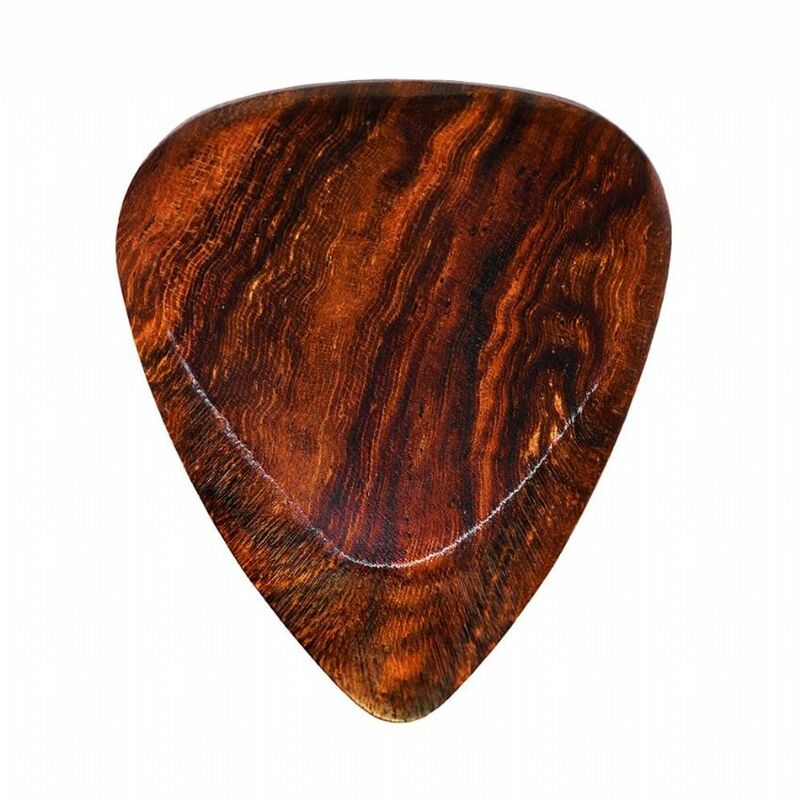 We recommend Burma Padauk for Acoustic Guitar. 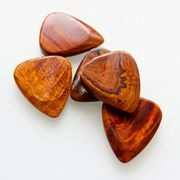 Burma Padauk is one of the softest timber in our range and as such it will also be one of the warmest sounding Timbers. 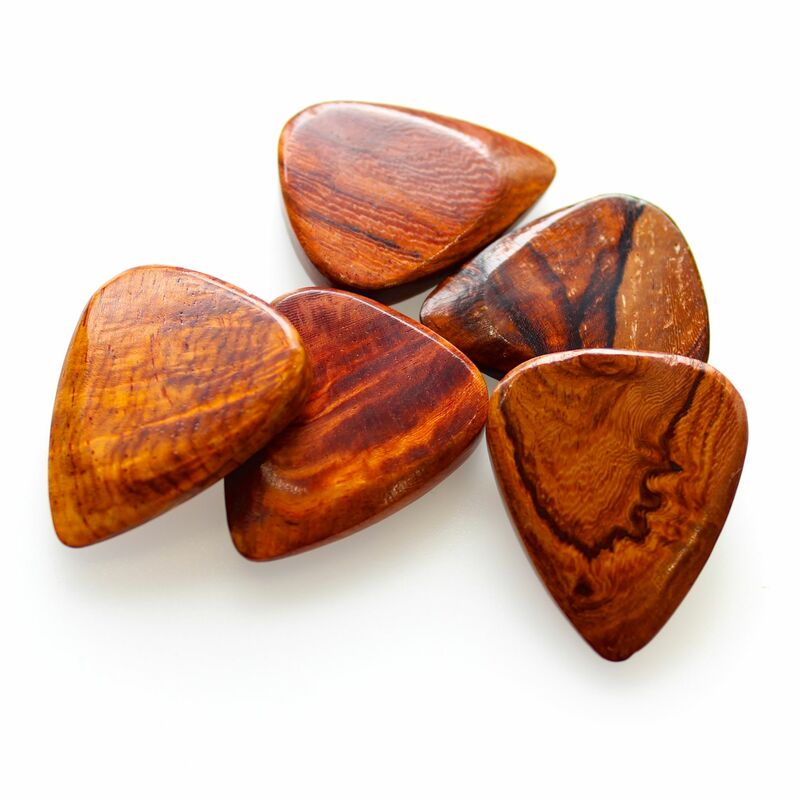 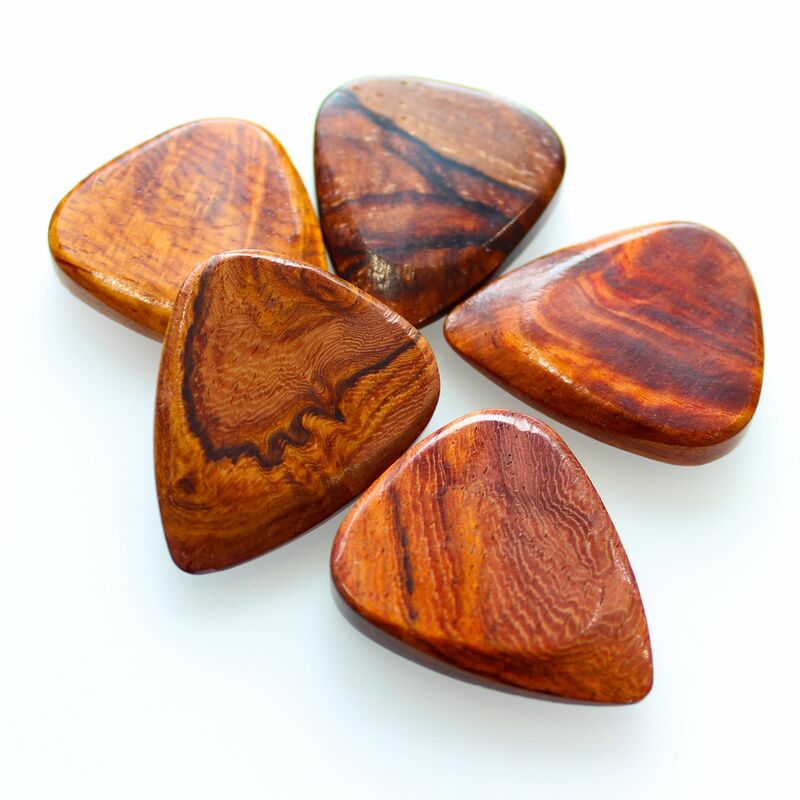 imber Tones Fat Guitar Picks are CNC Milled from the very best quality timber then hand sanded and hand polished to give them their amazing shine and smoothness. 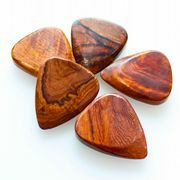 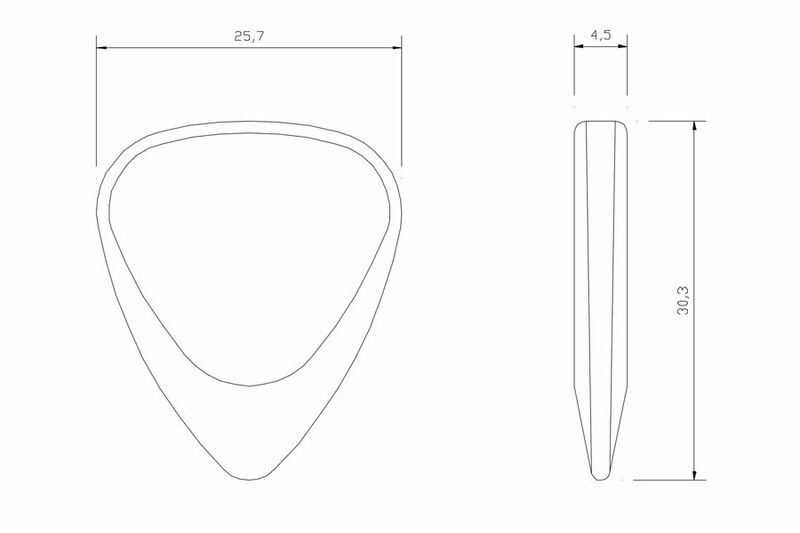 Timber Tones Fat unique shape is roughly based upon the classic 351 design, however they are 4.75mm thick where you hold them, chamfering down to 0.7mm at the playing tip. 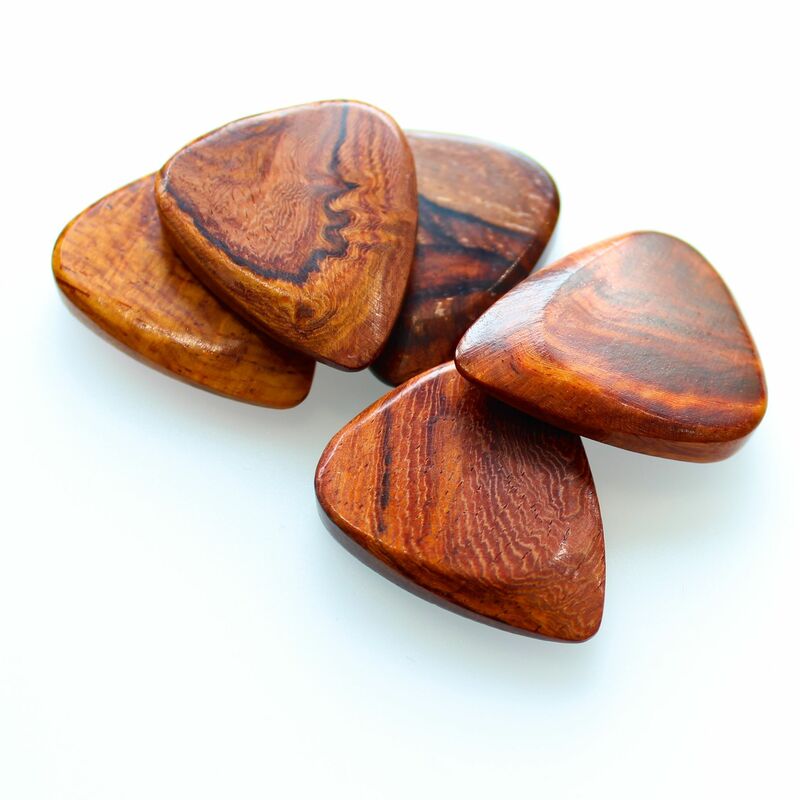 pack contains 1 Burma Padauk Timber Tones Fat Guitar Pick.